The new Julep mystery boxes are now up for sale! This time there are three different ones to choose from. 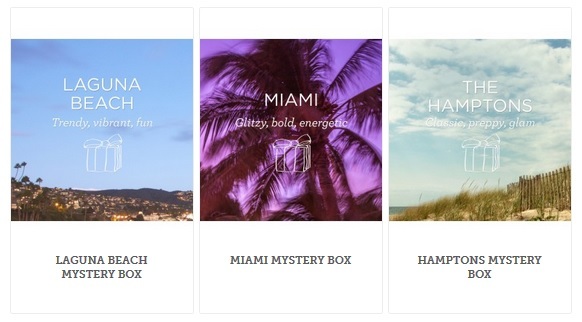 Laguna - Trendy, Vibrant, Fun, Miami - Glitzy, Bold, Energetic and The Hamptons - Classic, Preppy, Glam. I can't decide between Laguna and Miami... might have to get both, haha. You can buy the mystery boxes at http://www.julep.com/shop/destination-mystery-boxes.html and if you want to sign up to become a maven just click here and take the style quiz. Happy shopping!